HOUSTON, Texas -- We'll go ahead and say it -- they were baking up a storm. 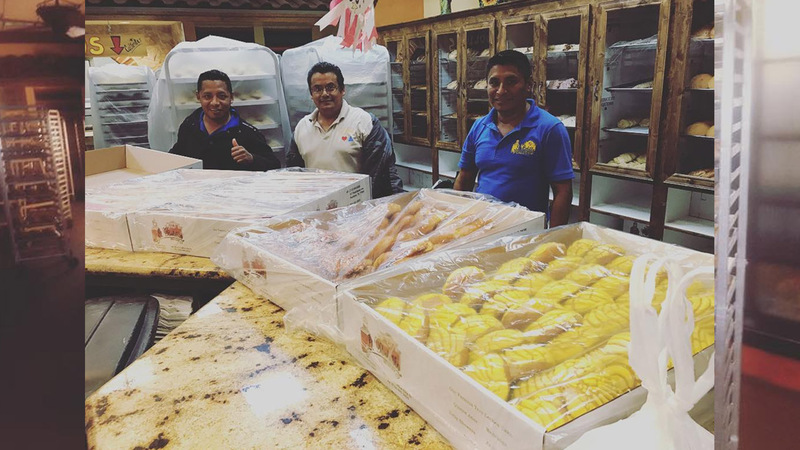 A group of bakers from the popular El Bolillo Bakery was stuck at their Wayside location for two days during Hurricane Harvey and they spent their time baking loaves of bread to be delivered to first responders and those in need. El Bolillo owner Kirk Michaelis has started a GoFundMe to help those employees and others impacted by the storm.